I'm on latest preview "4". I'm making an android app. I can launch the game on my mobile from the engine successfully, though there is a problem; I can not go to another level ( I did include the next level/map in the extra packaging settings!). It looks like you don't have the distribution settings set for Android. 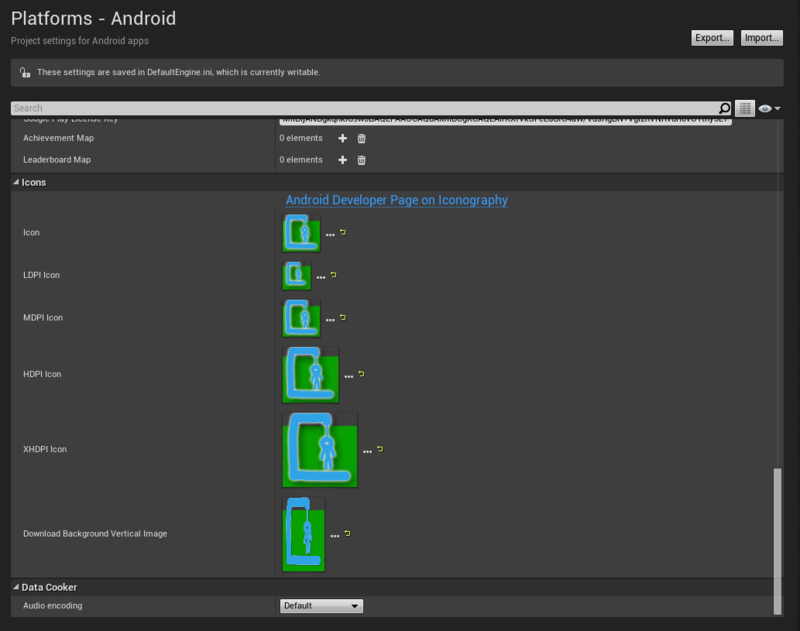 I have set up a blank project for distribution, under shipping and packaged it for Andriod (all). Are you able to package an Android project for distribution in a blank template? Looking forward to hearing back, thanks! 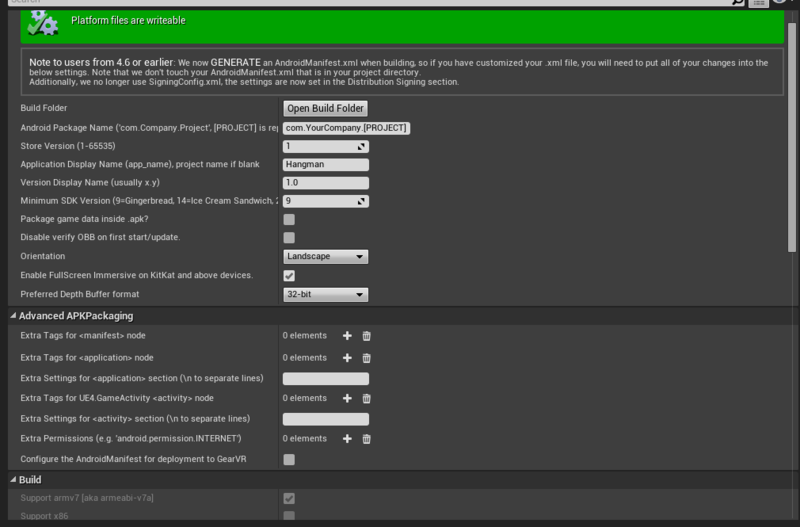 Can you please send screennshots of your Android and Android SDK settings from within the editor? Once you've added in that information, you should have no further troubles with packaging your game. If after you've added these in you receive errors, please upload the new log as a .txt file so that we can review them further. So I have sat down with our Android Developers and reviewed your logs further. It currently looks like all is working except for the fact that you have the Distribution Settings checked off. So please go back into your project, try to package it as 'Development' without the 'Distribution Settings' checked off. However, if you want to package for shipping and distribution, you need to create the key for the store. Please follow this link to learn more. Let us know if you run into any further complications, thank you! Based on the latest PNG, it looks as though you have a mix of SDK, NDK, ANT and JDK that aren't in any way paired together. It does not look like you're using AndroidWorks either. I recommend installing AndroidWorks and pointing all the paths to the appropriate NVPACK paths, this should resolve the issue you're running in to. I'd also suggest retying in the SDK API level (latest) just to make sure that has been set properly too. You said a while ago that we would not need to manually set up android in 4.9 ? 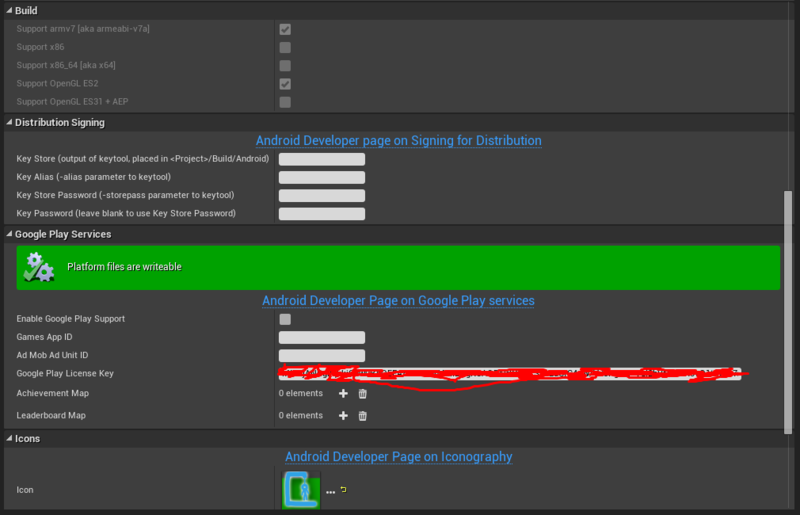 When switching to AndroidWorks, you still have to do the initial set up for the SDK. so according to this, I should rename my already downloaded nvpack to nvpack_tadp and use this for the engine, I dont get why I have to download it again from the installer inside the engine dir when nothing will be using it? I'm doing it anyway and will tell you what happens when it's downloaded. So, I checked within my Android SDK and the 'r10e' is from the older folder, and the 'r10' is from the newer folder. Can you please provide us the logs from your most recent package? my latest is in my reply above, "error.txt", Should I try find the "r10" ? The new one is "r10e" and they are both in the engine androidworks installer and the androidworks install i got from their website. 4.11 In-app purchase information reporting back incorrectly.